StackMatch and SixPak User K5RT - "Radio Texas"
K5RT (who is a member of the ArraySolutions "Brain Trust") has been using a StackMatch since 1994. As far as we know, Paul was the first to try it with tri-banders. His StackMatch is S/N 002 and is still playing! 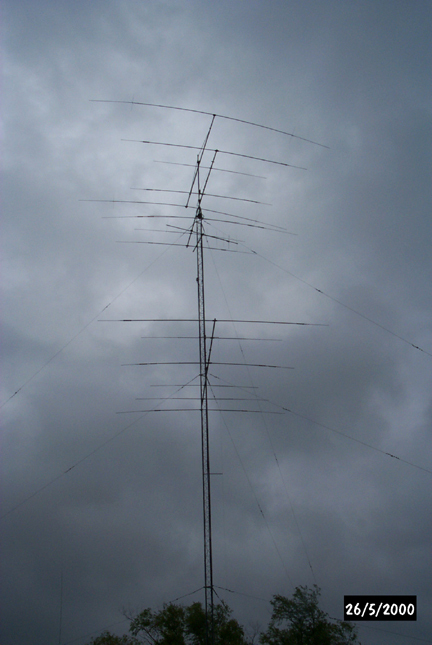 "Lots of QSO's through it and it does make a difference!" This station has placed in the top 10 in SS and various DX contests. Paul also uses a WX0B SixPak in this shack.